Sylhan is reliable under pressure and we concentrate our efforts on the precision machining of refractory and other exotic metals. Our mission is to meet or exceed our customers’ exact requirements with the highest degree of quality because you rely on nothing less. By building effective relationships, we challenge our team to shape the future of the precision metal machining industry. Our vision is to become the absolute best and most reliable supplier to our customer by being an expert source for our customers' precision machining needs. Sylhan believes that it isn’t enough to be just another vendor to our customer, but we must partner with their production and engineering teams to ensure we are providing enhanced value. Being reliable under pressure means our team of experts works hard to make your team successful, no matter the circumstances. 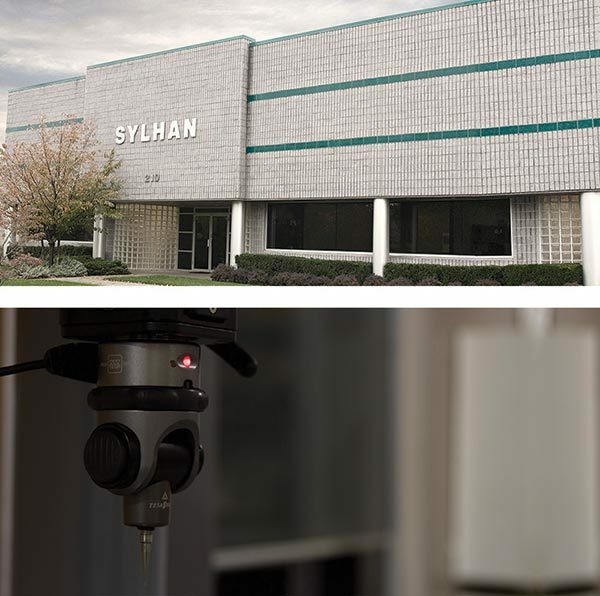 Sylhan excels at precision machining of refractory metals as well as super alloys. We work with materials that are as resilient as we are. Sylhan’s innovative team sources the correct refractory metals that meet your exacting set of specifications. We produce zero-defect parts that are reliable under pressure and delivered on time, every time. Sylhan employs the most experienced machinists, operators and engineers to manufacture such products. This team possesses a thorough understanding of all materials and processes and believes in becoming more than another vendor to our customers. We strive to be true partners. This team constantly reviews all processes and implements improvements to reduce costs, which enables us to provide significant value to you.